Are Aluminum Fences Right for You? What can aluminum fences do for you? When you think about having a new fence installed, you have to choose from one of the many materials. Wood, vinyl, and metal are the three basic types of fencing that you can choose. 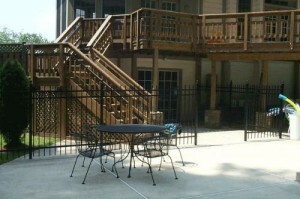 With an aluminum fence on your property, you will have both beauty and safety. What more could you ask for? Well, today we’ve got the scoop on how aluminum fences are going to make your day. Ready to learn more? We’re doing this. Don’t worry about rust with aluminum. Your Northern Virginia home probably gets some rain now and again. It happens. Now, when it comes to fencing, rain usually leads to rust issues. Rust is going to compromise the structural integrity of your fence. The repairs for it are costly, and rust is going to be unsightly. It basically ruins the beauty and safety of your fence. Now, when you choose aluminum fencing you don’t have to worry about rust at all. Your fence will hold up great in all kinds of weather, so you can rest easy. We all want a fence for our homes, but the cost of installation can hold us back from making the decision. Aluminum fencing is very cost effective without providing you with cheap materials. Not only that, but because of the finishes on aluminum fences, they do not need to be repainted like wrought iron. The paint will last for years to come. Does your Northern Virginia property sit on a slope? This can lead to issues when having a fence installed. Now, aluminum is rackable and that means that it can be installed to hug the slopes of your property without creating unsightly gaps. 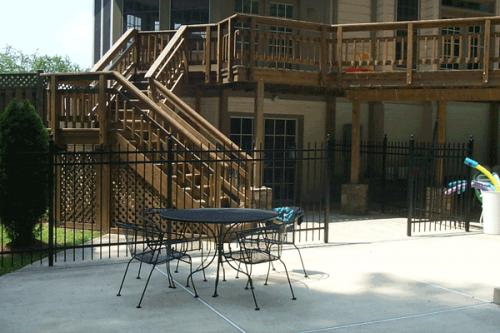 Do you think an aluminum fence is right for your Northern Virginia home? This entry was posted on Friday, May 29th, 2015 at 11:15 pm. Both comments and pings are currently closed.